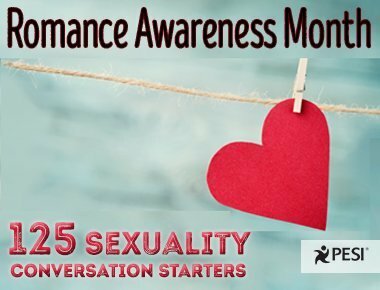 Did you know August was Romance Awareness Month? That's right, February isn't the only month to celebrate your relationships or encourage your clients to do the same. While you strive to help couples strengthen their bonds year round, this month is a great reason to focus on the nurturing of friendship and intimacy in relationships. There are many gestures, small and large, that don't have to be elaborate or expensive to put some spark back into a relationship and make love last a lifetime. Here are 9 ways to make an effort and show them you care. For some clients, activities and conversations that reignite passion can be difficult to initiate and engage in. Esther Perel developed a FREE guide that contains 125 Questions to initiate Conversations about Sexuality that can be used to create wonderful intimate connection. Use this in your practice and share with your clients! In can be the little things that make a big difference, so look at your own relationship and encourage your clients to do the same. Because sometimes just being in the same room, sharing in each other's successes or doing activities together can generate romantic energy.